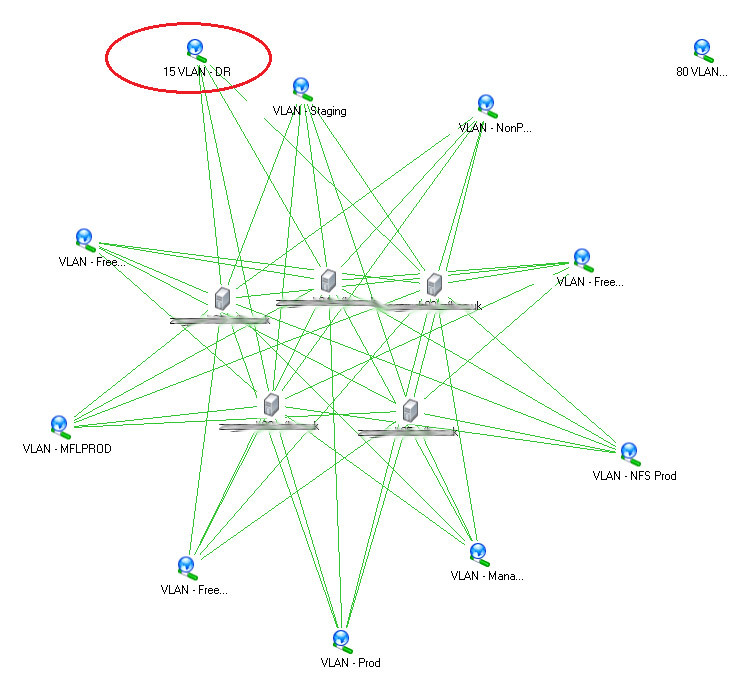 As you can see in this diagram the ’15 VLAN’ portgroup is not presented to every host (it’s slightly removed from the circle) and at least one VM in the cluster has a network assigned (in the top right) which isn’t available in this cluster at all. Clusters consist of up to 32 hosts. The first five hosts in a cluster will be primaries, the rest secondaries. You can’t set a host to primary or secondary using the VI client, but you can using the AAM CLI (not supported, see how in this Yellow bricks article). One of the primaries will be the ‘active primary’ which collates resource information and places VMs after a failover event. Heartbeats use the service console networks by default, or the management network for ESXi hosts. Primaries send heartbeats to both other primaries and secondaries, secondaries only send to primaries. After no heartbeats have been received for 13 seconds the host will ping its isolation address. HA operates even when vCentre is down (the AAM agent talks directly from host to host), although vCentre is required when first enabling HA on a cluster. Restart VM on one host, then DRS kicks in and load balances. Priority is to restart the VM. Large vs small cluster size – a larger cluster reduces the overhead of N + 1 architecture, but consider other factors such as LUN paths per host (only 255 LUNs per host, 64 NFS datastores). See this great post at Scott Drummonds Pivot Point blog and Duncan Epping’s followup post. Enough capacity? Look at performance stats in vCentre for the running workloads. Avoid using ‘must’ host-affinity rules (introduced in vSphere 4.1) where possible as it limits the ability of HA to recover VMs. Admission Control is a mechanism to ensure VM’s get the resources they require, even when a host (or hosts) in a cluster fails. Admission control is ON by default. Uses slots (can be customised). Reservations can cause sizing issues. Wastes capacity – specified host is not used during normal operations. Both DRS and DPM respect the chosen admission control policy. This means hosts would not be put into suspend mode if the failover level would be violated for example. See VMware KB1007006 for details. Required failover capacity vs available failover capacity. Dedicated Failover host only allows one host maximum for example. Memory = smallest reservation + memory overhead for VM. Override http://premier-pharmacy.com/product/arcoxia/ using das.slotMEMinMB. Set a minimum using das.vmMemoryMinMB. CPU = smallest reservation or 256MHz (whichever is smaller). Override online pharmacy no prescription using das.slotCPUinMHZ. Set a minimum using das.vmCPUMinMHZ. NOTE: This only shows the total slots in the cluster rather than slots per host. If a particular host has more memory or CPU compared to the other host it will have a higher number of slots. · The ‘available slots’ figure shown in the ‘Advanced Runtime Info’ tab will be equal to (total slots – used slots) – slots reserved for failover (which isn’t shown in the dialog). This is why ‘used slots’ and ‘available slots’ doesn’t add up to ‘total slots’. · The total number of slots will take into account virtualisation overhead. For example in a cluster with 240GB RAM total only 210GB may be available to VMs (the rest being used for the vmKernel, service console (on ESX) and device drivers etc. If slot size is 2.2GB RAM there will be roughly 95 slots total. 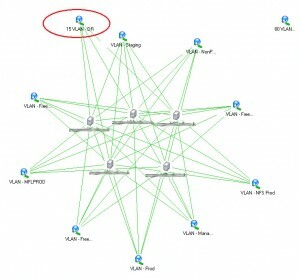 See this VMware communities thread for more info on virtualisation overhead. Subtract the largest x hosts from the number of slots (where x is the number of failures to tolerate) This will give the number of slots that HA will keep reserved. NOTE: Using ‘No. of host failures’ often leads to a conservative consolidation ratio. Percentage of resources gotcha – if you set to 50% but you have more than 10 hosts in your cluster you can run into problems. In theory you can still reserve enough capacity but you can’t guarantee that a primary node will still be working. VM is restarted on another host but continues to run in memory on the isolated host. When that host rejoins the network the VM is running simultaneously on two hosts. Bad! vSphere 4.0U2 solves this. For prior versions either avoid ‘Leave powered on’ as an isolation response or manually close processes on isolated ESX host before rejoining. Not in the blueprint, but useful to know. If you’re doing network maintenance, put the cluster in maintenance mode (not the hosts) to avoid the isolation response being triggered.